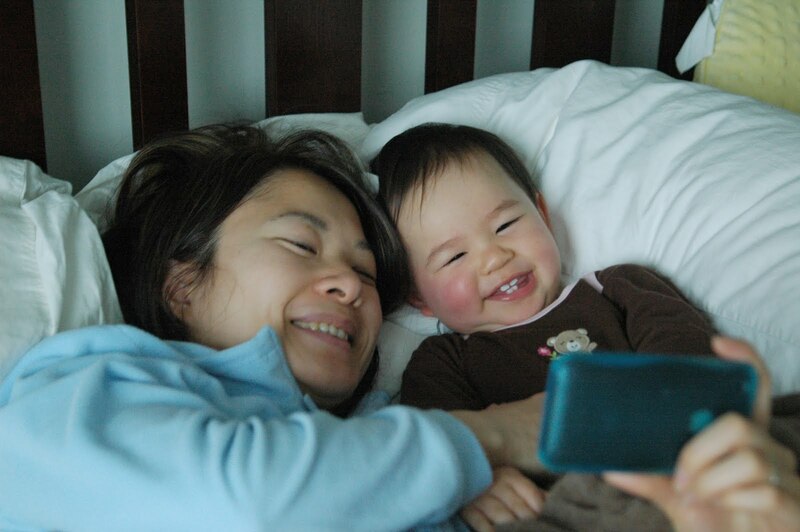 every morning lately, we snuggle in bed a little longer to watch her fave video (see below). think it's so cute that it gives her the giggles every time. LOL.OLOLOL!! Now I am singing Elmos Song over and over again in my head!!!! She is TOO cute! I love that you include her in your "business" postings!!! Very lovable!! And such a cute way to wake up! I love Sesame Street! We have an old movie, Elmopaloza, and the kids watched that one so much that all we ever sang were Elmo songs.